Clinton eked out her narrow victory only because she adopted Bernie’s populist message. Both she and the Democratic Party have now welcomed his call for more debates. The political and media establishment that Sanders mentioned to the caucus-night crowd in Des Moines needs to adjust to that reality. Democratic National Committee chair Debbie Wasserman Schultz, Congressional leaders, and party leaders in the states must not only recognize the changing dynamic of this race; they must accept the need for many more debates. Former Maryland governor Martin O’Malley, who dropped out of the Democratic contest after finishing far behind in Iowa, had objected most loudly to the ridiculously constrained debate schedule, which obscured the candidates from the public by having them spar mostly on weekends or holidays. The party is coming to accept that O’Malley was right. Debates do not merely frame the issues; they force candidates to strengthen their messages, to recognize what works and what doesn’t. Ultimately, debates make the eventual nominees better. They also provide an alternative to an electoral era dominated by super-PAC attack ads, which are defining an increasingly ugly Republican contest. On the eve of the Iowa vote, after MSNBC and the New Hampshire Union Leader proposed an unsanctioned debate, Clinton and O’Malley said they were on board. Sanders upped the ante by proposing new debates in March, April, and May. After Iowans confirmed that this is a serious contest, the DNC announced plans for three new debates, beginning on March 6 in Flint, Michigan, where a lead-poisoning crisis has exposed the bankruptcy of austerity governance. As the choice of Flint illustrates, debates can and must expand the range of discussion. They can, as well, go deeper on the issues of income inequality, mass incarceration, and US foreign policy. Clinton and Sanders should guard the quality of the discourse by rejecting the pressure to “go negative” with attack ads that will only harm the eventual nominee. 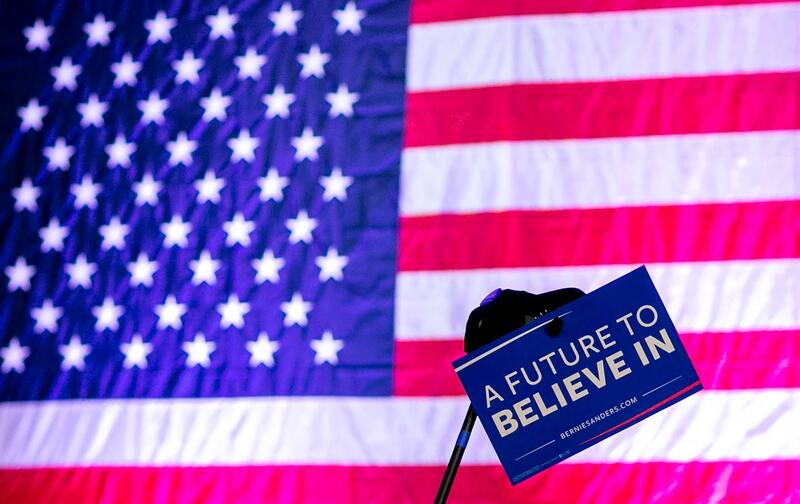 The Democrats have been given an opportunity to engage in the “contest of ideas” that Clinton proposes, and in the broader dialogue that Sanders says is needed to shape the future of our politics and our economy. The candidates and the party should seize the opportunity, recognizing that this is not just the debate that Democrats want. It is also the debate that Americans will embrace, as a refreshing alternative to the cruel and all-too-usual contest of nonstarter “ideas” in which the Republicans have trapped themselves.